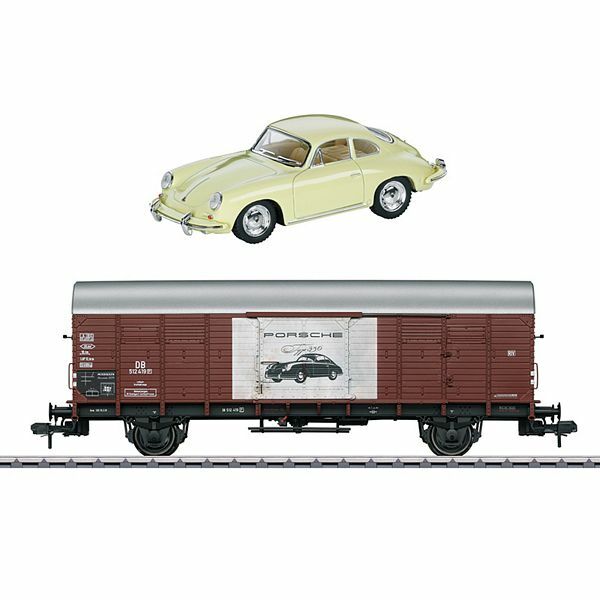 Prototype: German Federal Railroad (DB) type Gl 11 high-capacity boxcar, with a large advertising design for "Porsche". Car number 512 419 P. The car looks as it did around 1959. 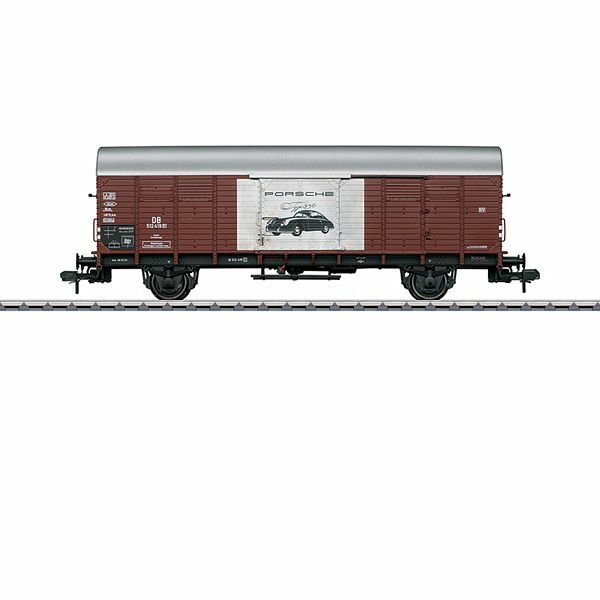 Model: The car has a long car body with an arched roof and modelling of the board walls. The doors can be opened. The car has many separately applied details. The minimum radius for operation is 1,020 mm / 40-3/8". Length over the buffers 37.5 cm / 14-3/4". One-time series. Available only in the "märklineum" shop in Göppingen.